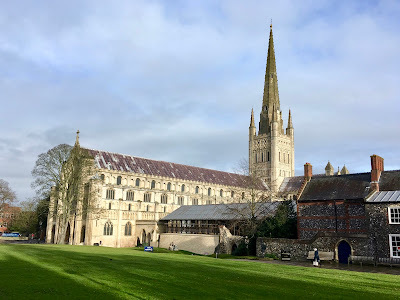 Walking through to the other side is a green with spectacular views of the surrounding buildings as well as the cathedral. 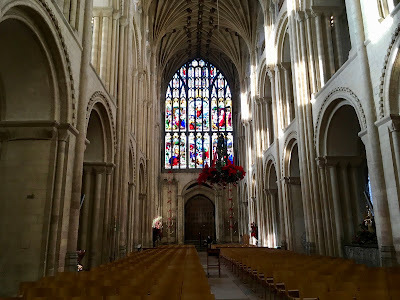 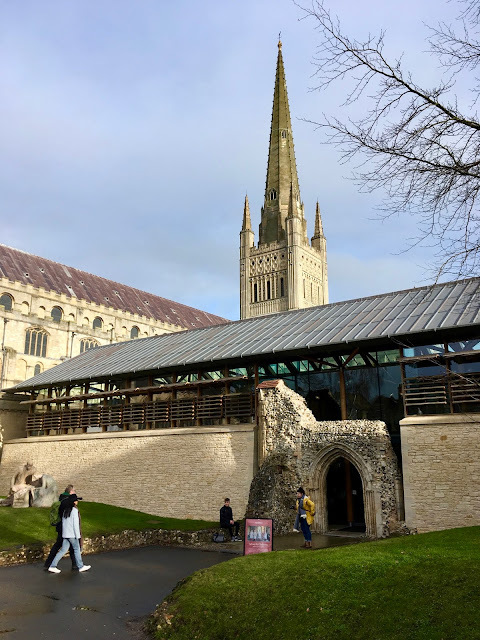 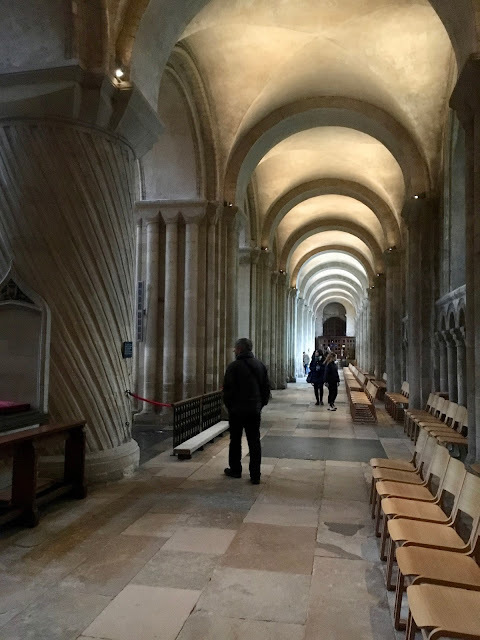 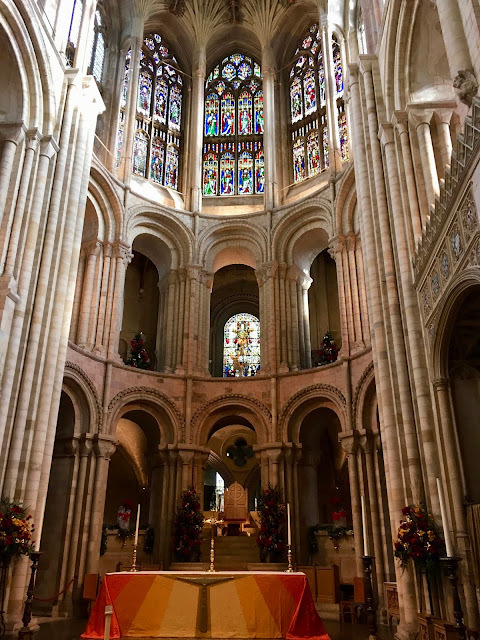 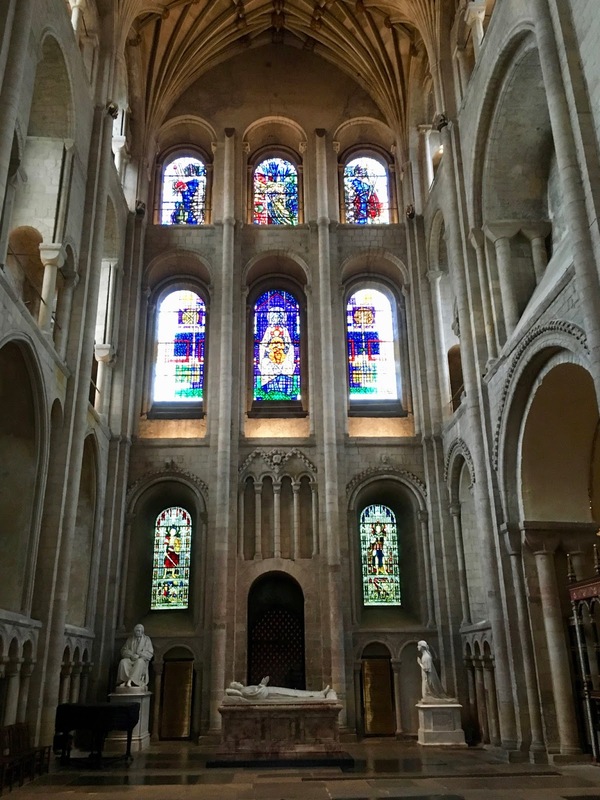 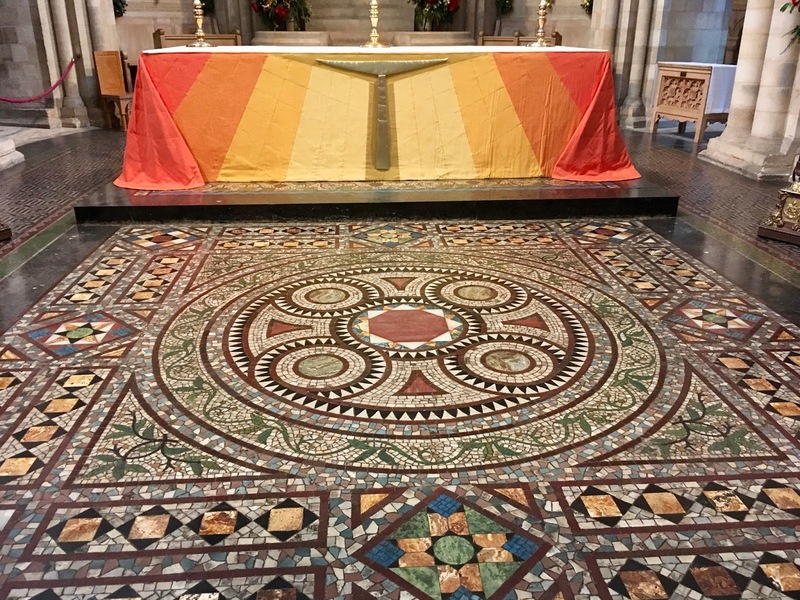 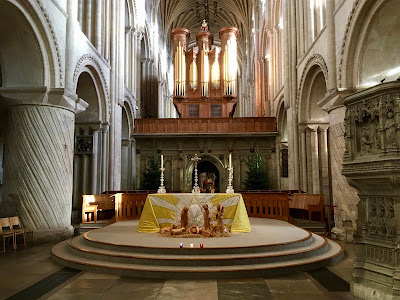 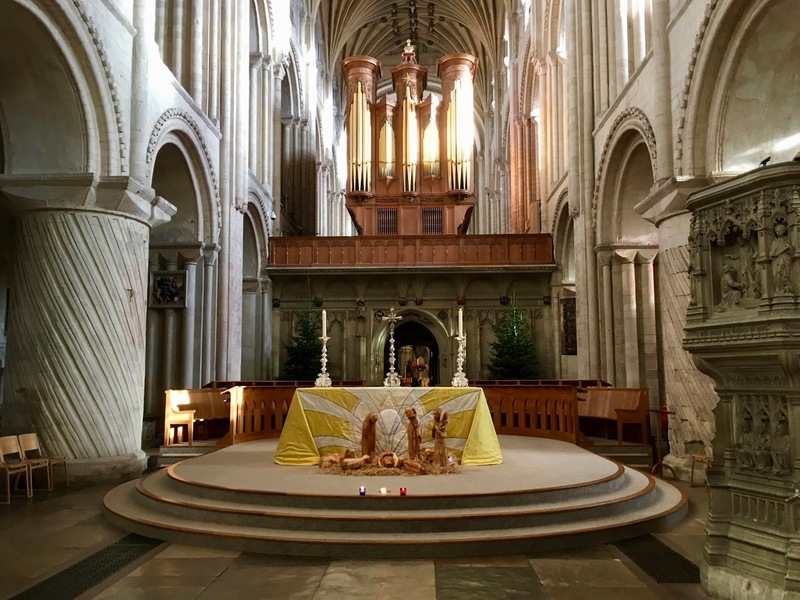 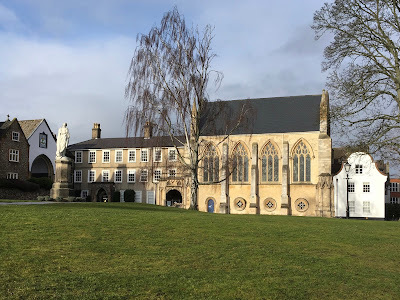 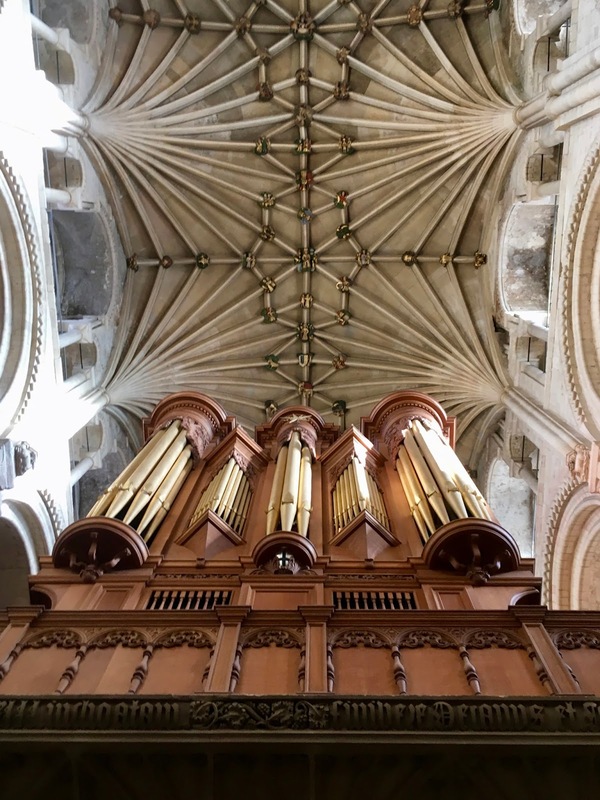 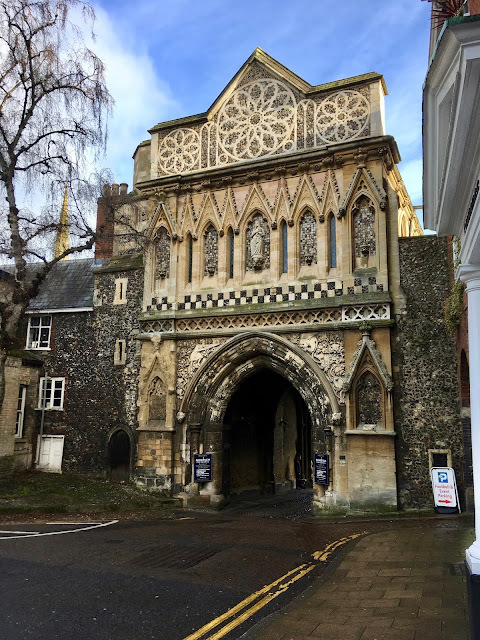 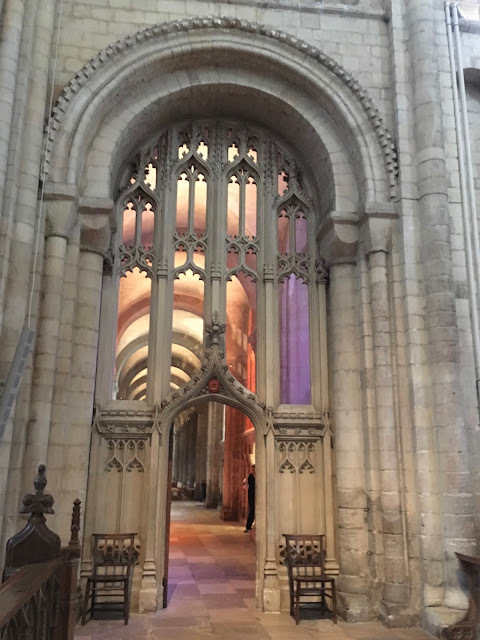 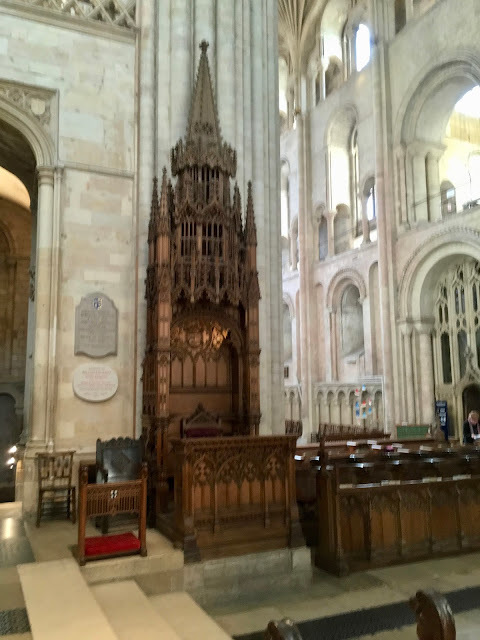 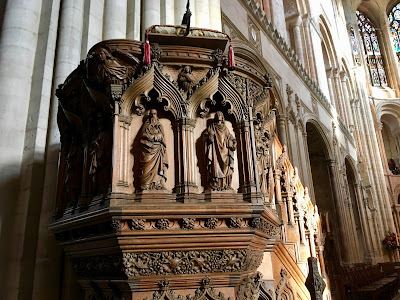 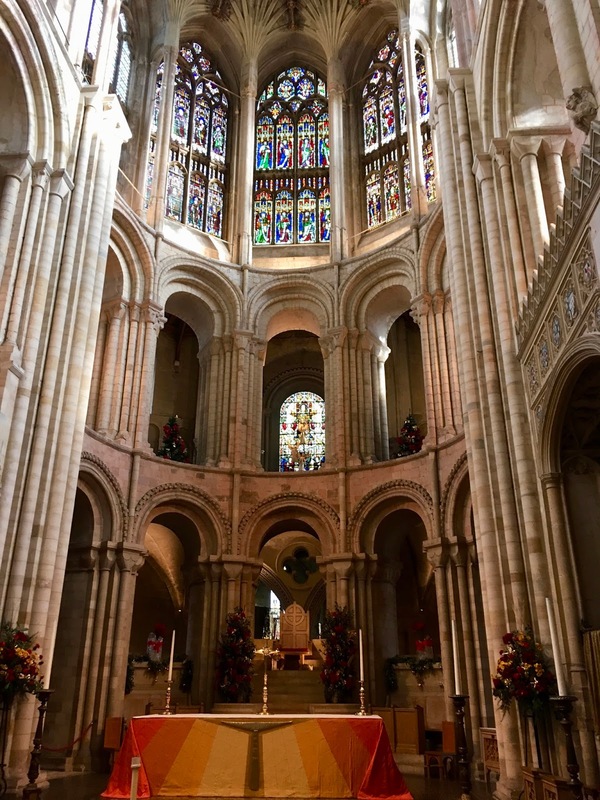 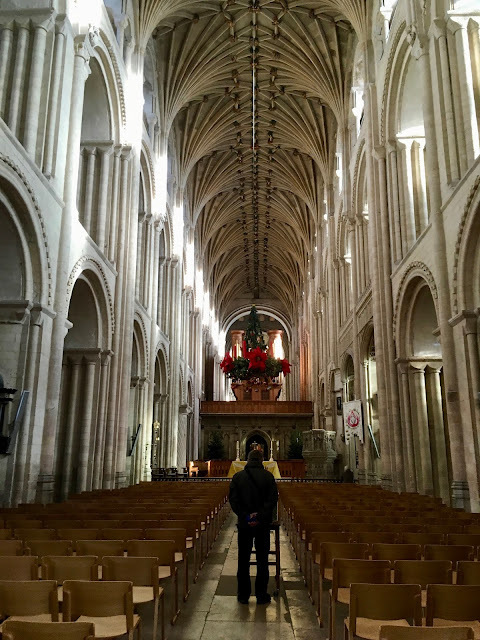 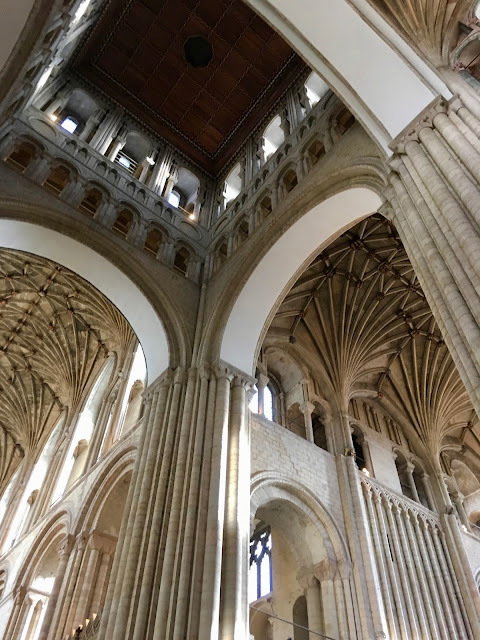 During our first visit to the Norwich Cathedral in 2016 we took a guided tour (details HERE) but this time opted to take it slow and at our own pace to savour the beauty of its magnificent interior. 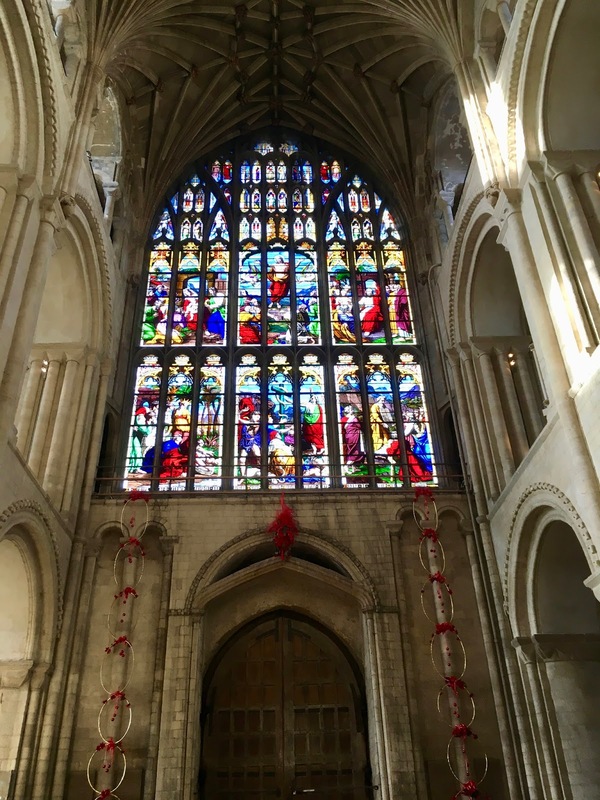 I particularly love how the sunlight shone through the modern stained glass windows to blanket the interior in such soft warm hues. 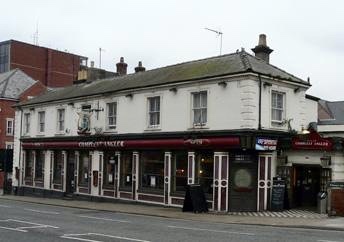 Last stop of the day was the Compleat Angler Pub just kitty corner across the street from the train station where we had (what else!) 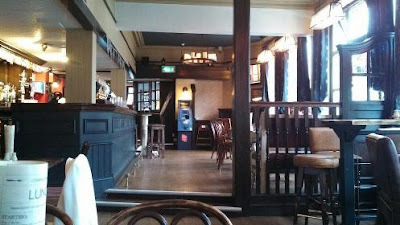 a pint of Guinness topped off with fish and chips. 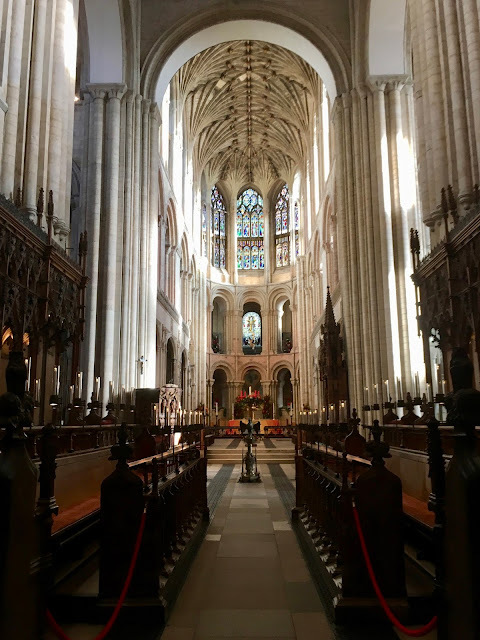 Photo courtesy of Google and FYI it was standing room only while we were there!